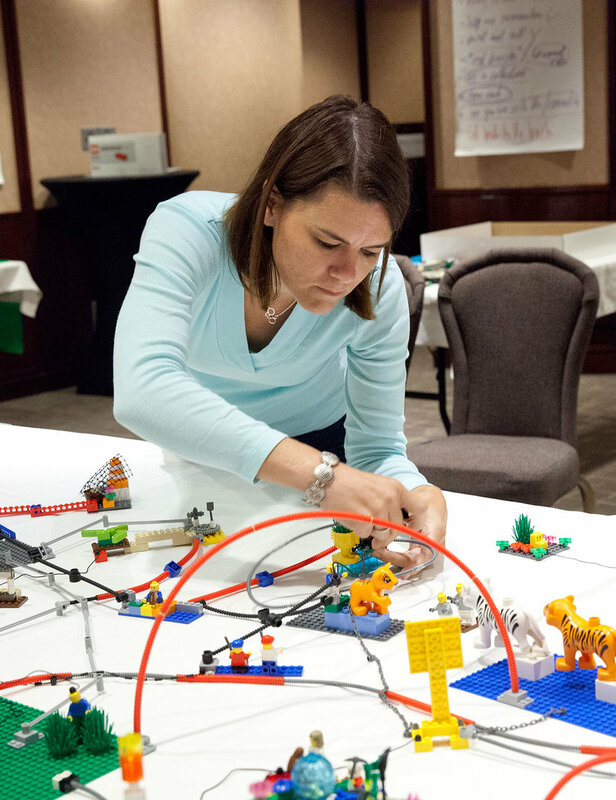 LEGO® SERIOUS PLAY® is a facilitated process, where participants are led through a series of questions, which go deeper and deeper. Each participant builds his or her own three-dimensional LEGO® model in response to the facilitator’s questions using specially selected LEGO® bricks. These 3D models serve as the basis for group discussion, knowledge sharing, problem solving and decision-making. The purpose is to maximize the full potential, insight, confidence and commitment of all the people around the table. 1. The LEGO® bricks serve as a common language that anyone can use, regardless of their education, position or culture. This ensures that everybody’s knowledge and insights are surfaced. 2. The starting point in answering the questions is ALWAYS on individual's answer - not the group's.. The structure of the process requires everyone to be actively ALL the time during the workshop. This increases the probability that all parties will honor the decisions and agreements after the meeting. 3. The process produces more concrete ideas and results, because everyone has time to build her or his answers and input before conversation and knowledge sharing begins. 4. The process ensures faster and better communication and understanding because it uses 3D visualization, metaphors and stories. This also leads to fewer misunderstandings. 5. Meetings facilitated by the LEGO® SERIOUS PLAY® method stay on topic because focus is on the bricks – not on the person. This also allows the discussion to become very intense without creating personal conflicts. What makes the LEGO SERIOUS PLAY method more than playing with LEGO bricks? 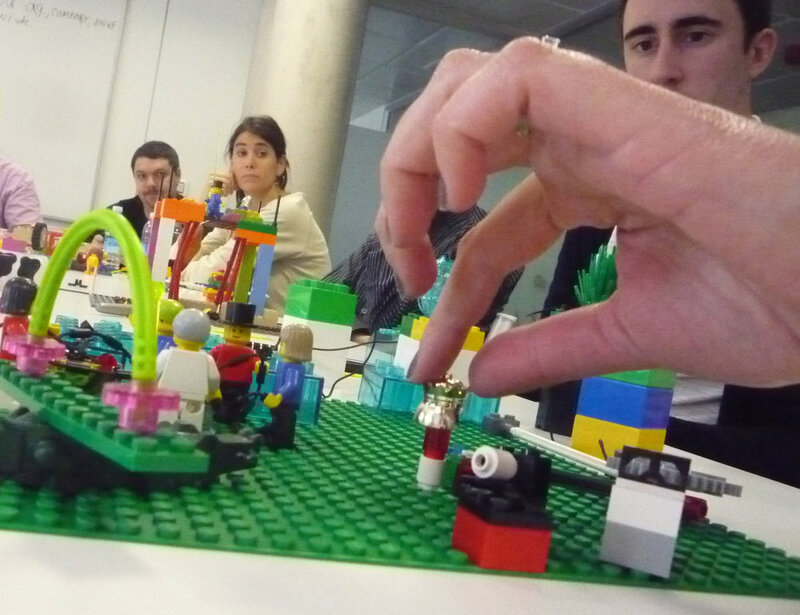 For a random bystander to a LSP workshop all you see is people playing with LEGO® bricks. What you don't see is the systematic use of underlying techniques and principles driving the process and led by the facilitator. The process has a sophisticated operating system and if the facilitator doesn't know and follow this system the process will not deliver the benefits described above. 3. The systematic use of the LEGO® SERIOUS PLAY® techniques, which consist of a Core Process and seven Application Techniques.